4 1/2 ft. x 9 ft. 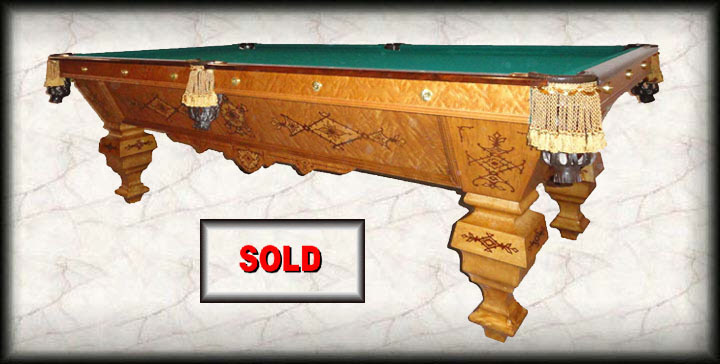 This is an 1880s vintage 9 ft. "Eclipse" pocket billiard table we recently completed restoring. It was manufactured by "The Brunswick Balke Collender Co." This price includes new balls, 4 new cues, and a triangle. At this greatly discounted price, all shipping costs and set up fees are the buyer's responsibility.